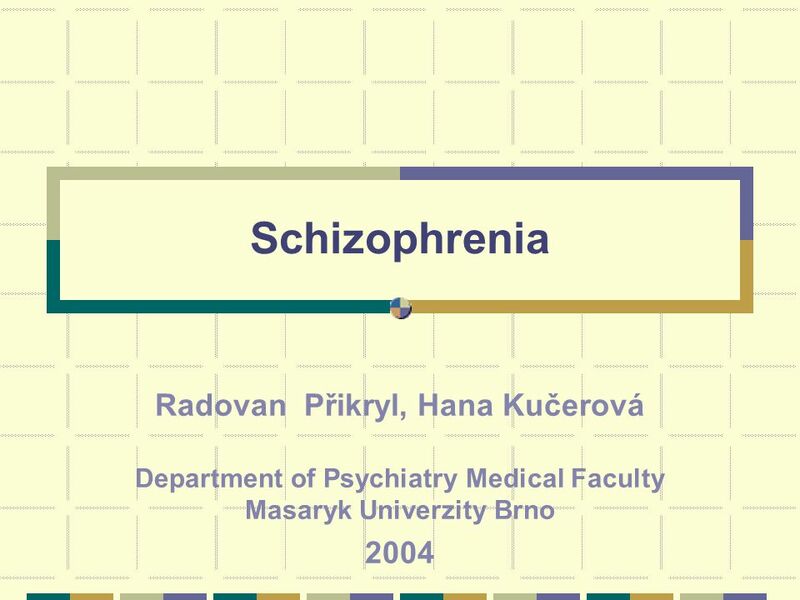 Schizophrenia Radovan Přikryl, Hana Kučerová Department of Psychiatry Medical Faculty Masaryk Univerzity Brno 2004. 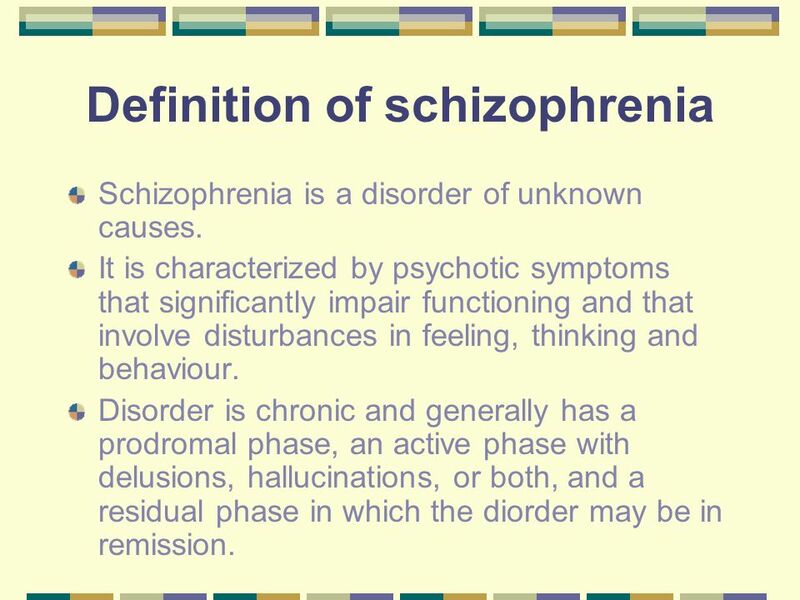 2 Definition of schizophrenia Schizophrenia is a disorder of unknown causes. 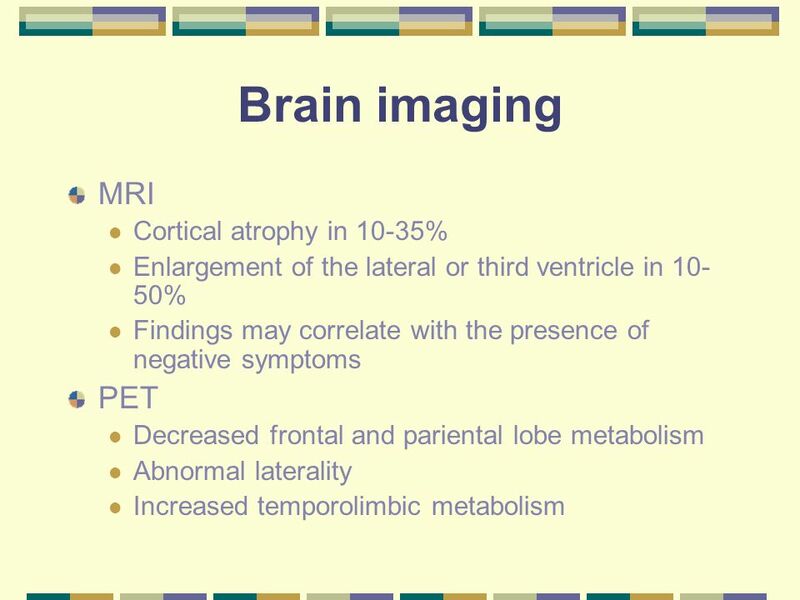 It is characterized by psychotic symptoms that significantly impair functioning and that involve disturbances in feeling, thinking and behaviour. Disorder is chronic and generally has a prodromal phase, an active phase with delusions, hallucinations, or both, and a residual phase in which the diorder may be in remission. 16 Neuropsychology II. 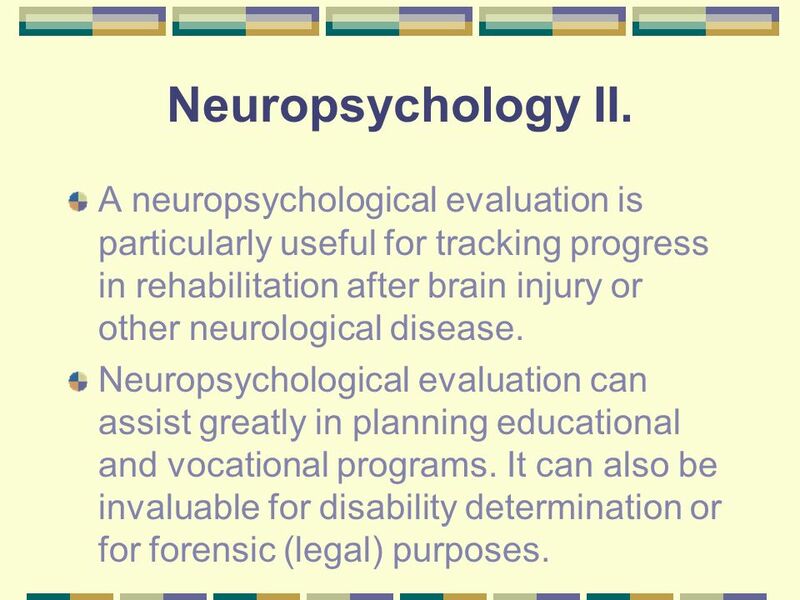 A neuropsychological evaluation is particularly useful for tracking progress in rehabilitation after brain injury or other neurological disease. 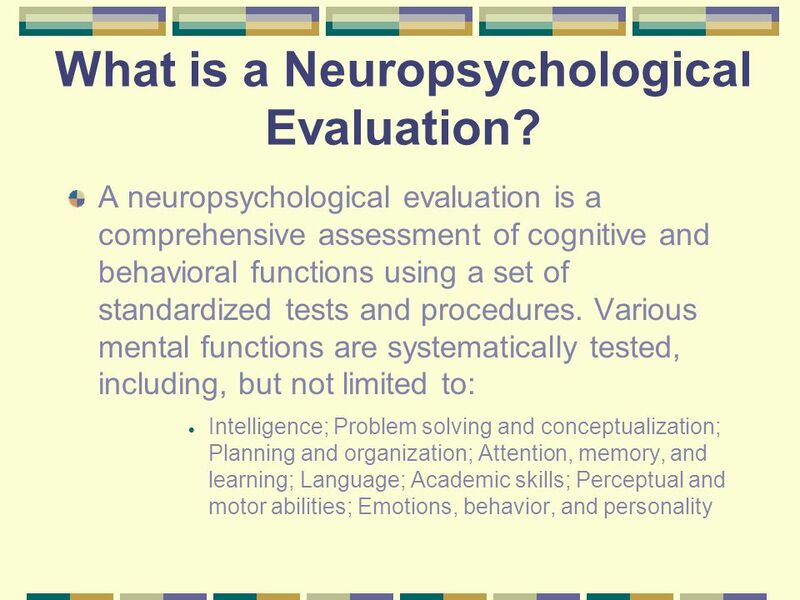 Neuropsychological evaluation can assist greatly in planning educational and vocational programs. 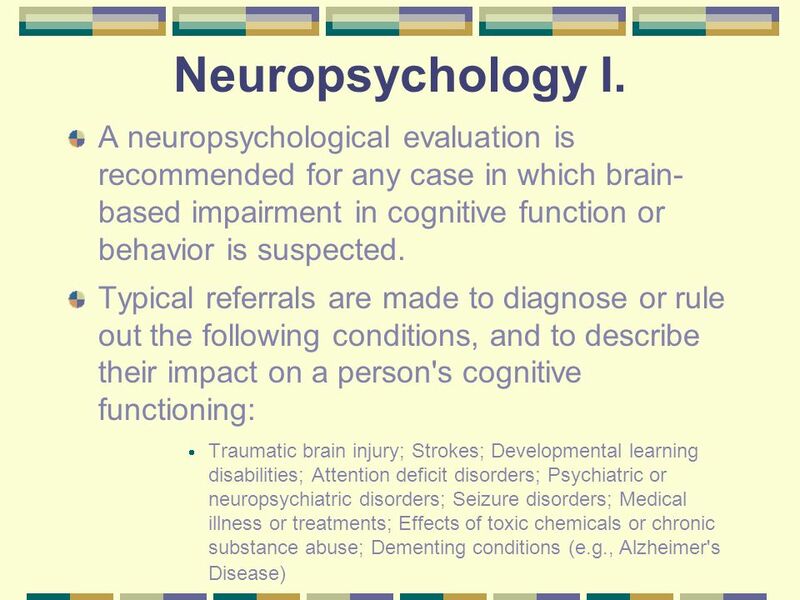 It can also be invaluable for disability determination or for forensic (legal) purposes. 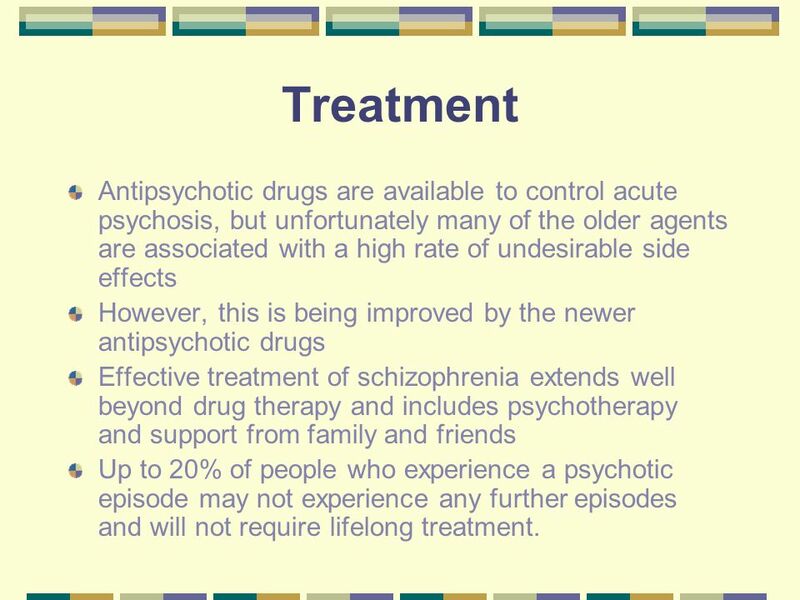 21 Treatment Antipsychotic drugs are available to control acute psychosis, but unfortunately many of the older agents are associated with a high rate of undesirable side effects However, this is being improved by the newer antipsychotic drugs Effective treatment of schizophrenia extends well beyond drug therapy and includes psychotherapy and support from family and friends Up to 20% of people who experience a psychotic episode may not experience any further episodes and will not require lifelong treatment. 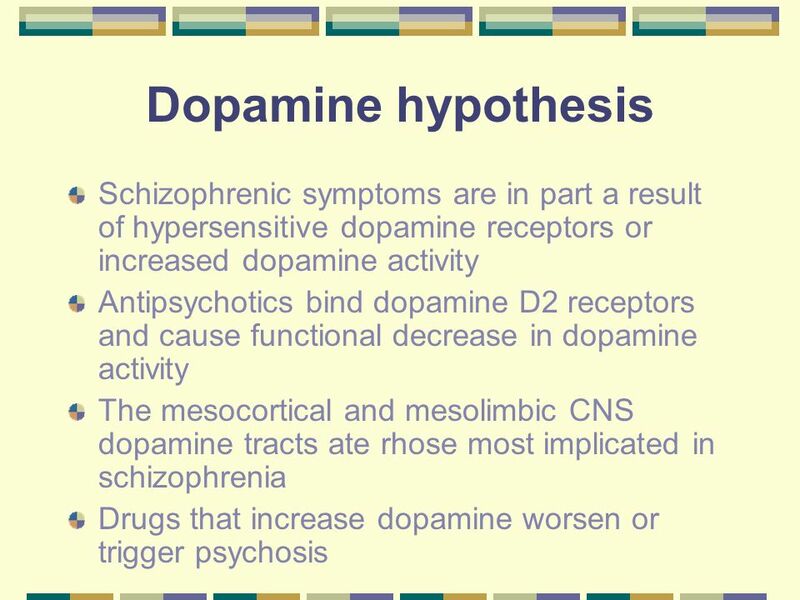 22 Treatment People with schizophrenia have an excess of the neurotransmitters like dopamine and serotonin The conventional, first-generation antipsychotics are dopamine antagonists The newer, atypical, second-generation antipsychotics are dopamine and serotonin antagonists. The first-generation antipsychotics are associated with a high risk of side effects, which can be inconvenient, disabling and dangerous and occur in 40-50% of those treated. 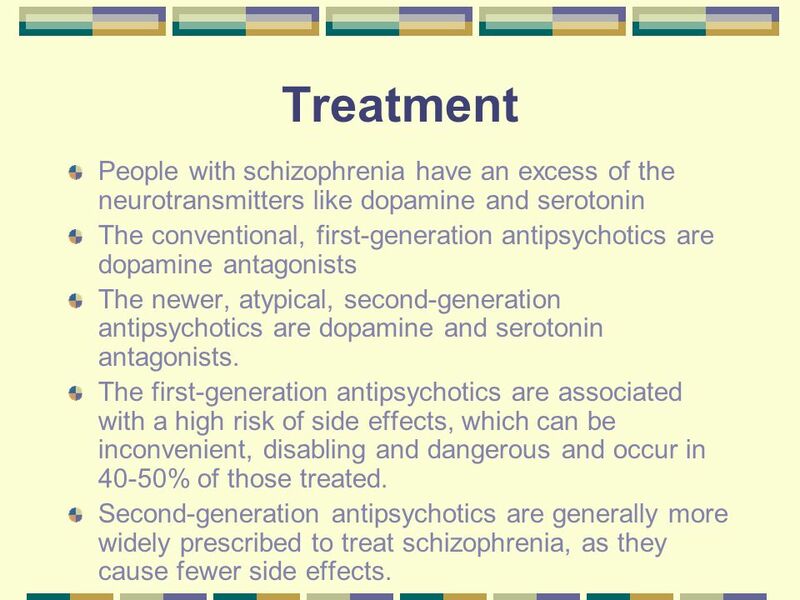 Second-generation antipsychotics are generally more widely prescribed to treat schizophrenia, as they cause fewer side effects. 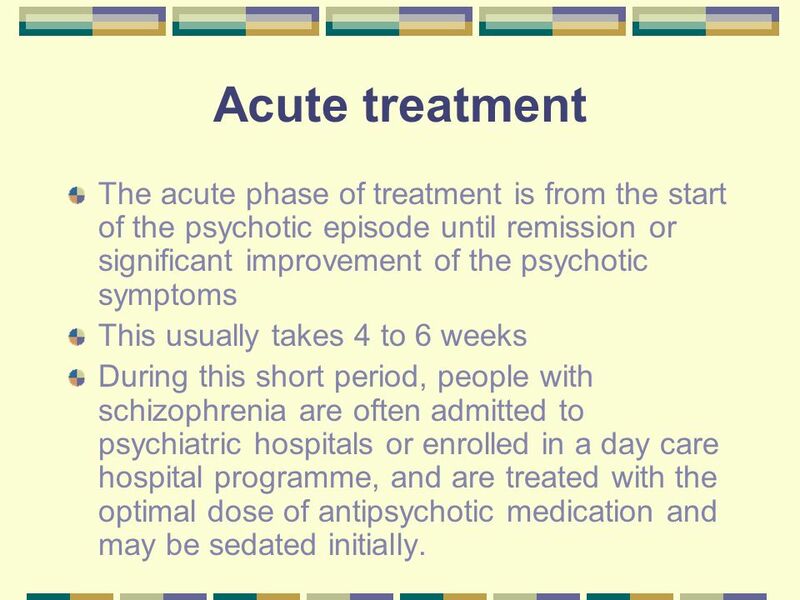 24 Acute treatment The acute phase of treatment is from the start of the psychotic episode until remission or significant improvement of the psychotic symptoms This usually takes 4 to 6 weeks During this short period, people with schizophrenia are often admitted to psychiatric hospitals or enrolled in a day care hospital programme, and are treated with the optimal dose of antipsychotic medication and may be sedated initially. 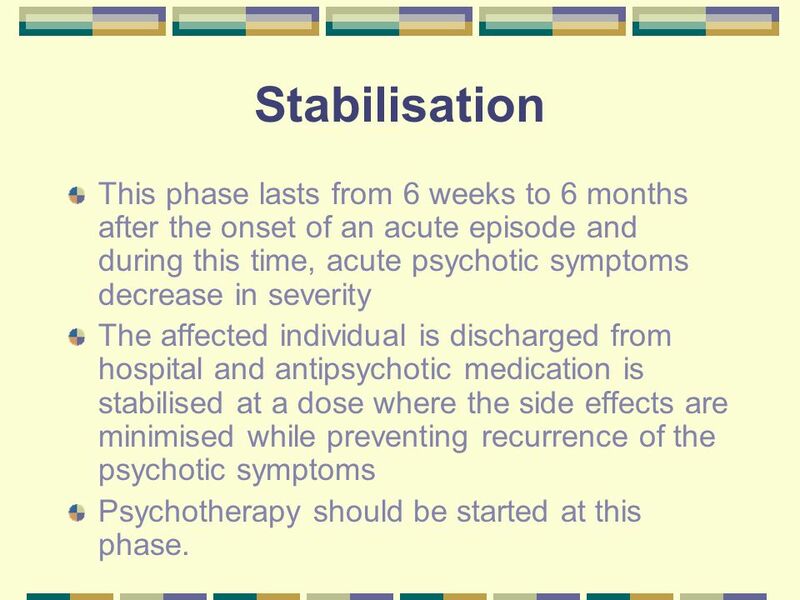 25 Stabilisation This phase lasts from 6 weeks to 6 months after the onset of an acute episode and during this time, acute psychotic symptoms decrease in severity The affected individual is discharged from hospital and antipsychotic medication is stabilised at a dose where the side effects are minimised while preventing recurrence of the psychotic symptoms Psychotherapy should be started at this phase. 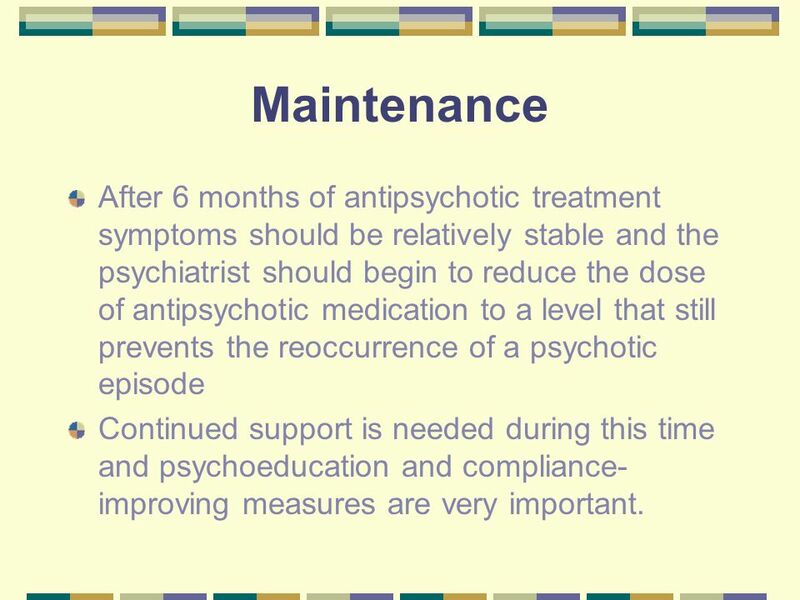 26 Maintenance After 6 months of antipsychotic treatment symptoms should be relatively stable and the psychiatrist should begin to reduce the dose of antipsychotic medication to a level that still prevents the reoccurrence of a psychotic episode Continued support is needed during this time and psychoeducation and compliance- improving measures are very important. 27 How long should treatment continue? 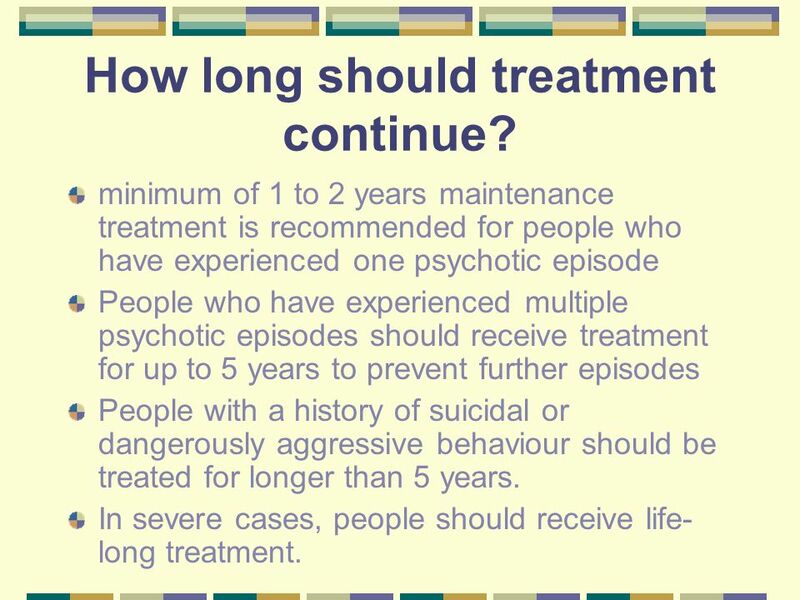 minimum of 1 to 2 years maintenance treatment is recommended for people who have experienced one psychotic episode People who have experienced multiple psychotic episodes should receive treatment for up to 5 years to prevent further episodes People with a history of suicidal or dangerously aggressive behaviour should be treated for longer than 5 years. In severe cases, people should receive life- long treatment. 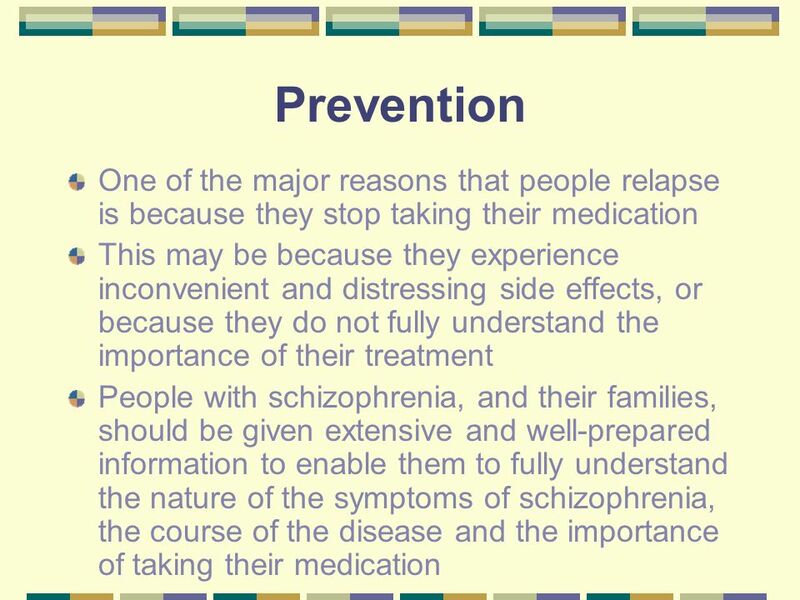 28 Psychosocial treatments Psychosocial treatments are vital forms of therapy and should be implemented alongside medication. 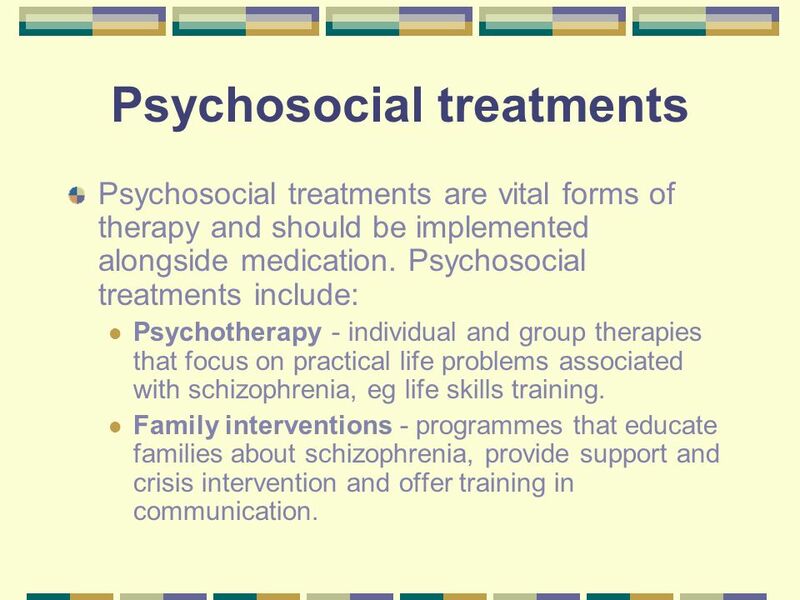 Psychosocial treatments include: Psychotherapy - individual and group therapies that focus on practical life problems associated with schizophrenia, eg life skills training. Family interventions - programmes that educate families about schizophrenia, provide support and crisis intervention and offer training in communication. 29 Psychosocial treatments Psychosocial rehabilitation and skills development - training that teaches people verbal and nonverbal interpersonal skills, such as listening and conversation skills and medication management, to allow them to live successfully in the community. Coping and self-monitoring - training to enable people to manage distressing symptoms and the effects of their illness. 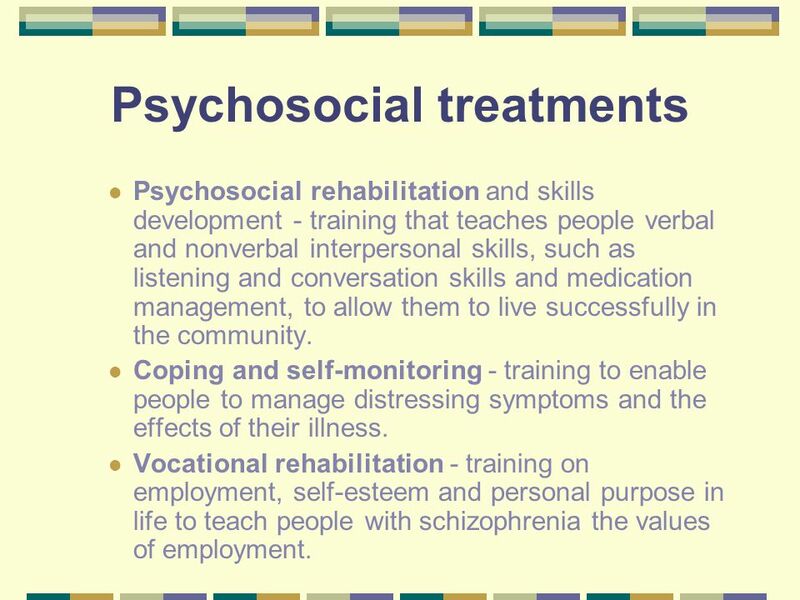 Vocational rehabilitation - training on employment, self-esteem and personal purpose in life to teach people with schizophrenia the values of employment. 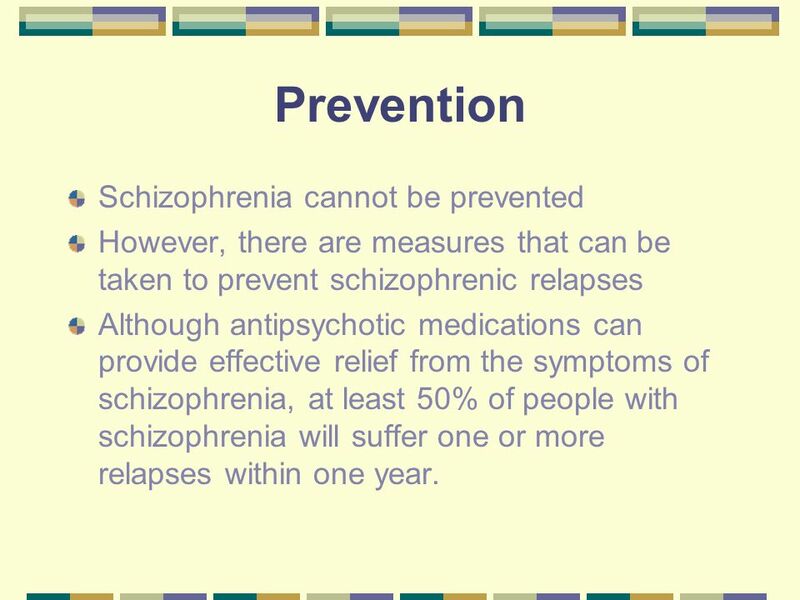 30 Prevention Schizophrenia cannot be prevented However, there are measures that can be taken to prevent schizophrenic relapses Although antipsychotic medications can provide effective relief from the symptoms of schizophrenia, at least 50% of people with schizophrenia will suffer one or more relapses within one year. 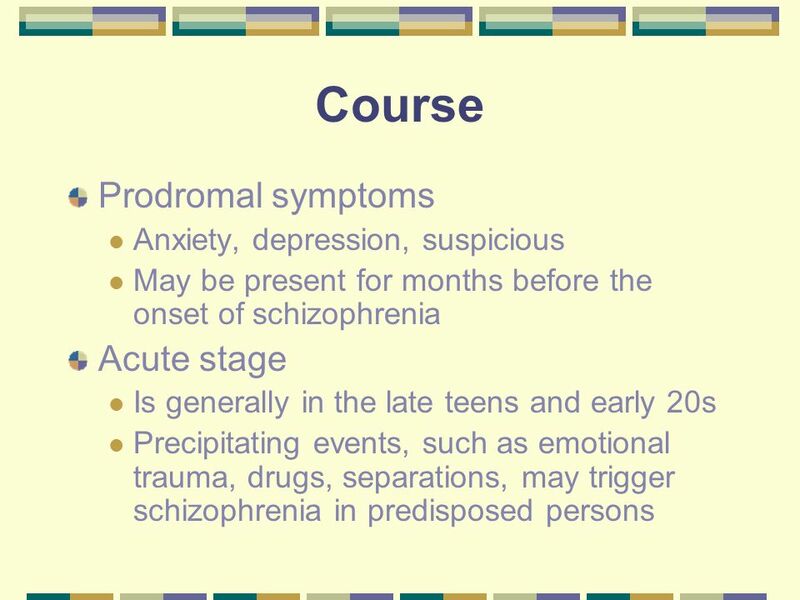 Download ppt "Schizophrenia Radovan Přikryl, Hana Kučerová Department of Psychiatry Medical Faculty Masaryk Univerzity Brno 2004." 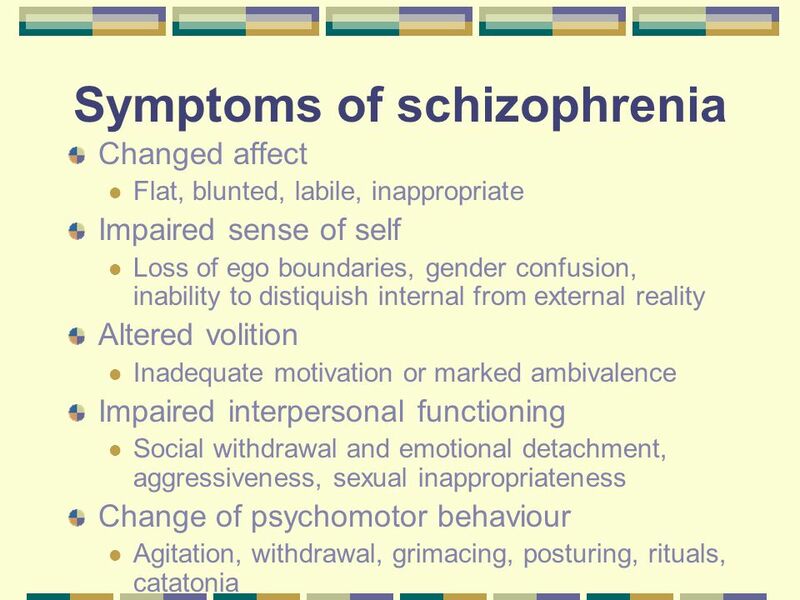 Schizophrenia and Other Psychotic Disorders Anita S. Kablinger MD Associate Professor Departments of Psychiatry of Pharmacology LSUHSC-Shreveport. 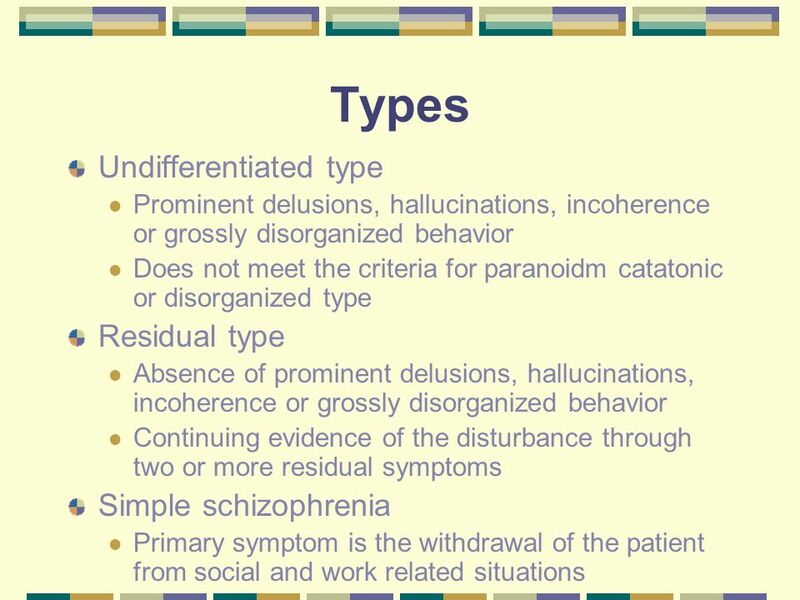 Abnormal Psychology Oltmanns and Emery Chapter Thirteen Schizophrenic Disorders presented by: Mani Rafiee. Introduction.  A biological disorder of the brain which causes disturbances in thinking speech, perception of reality, emotion (mood), and behavior. Schizophrenia Chapter 12. 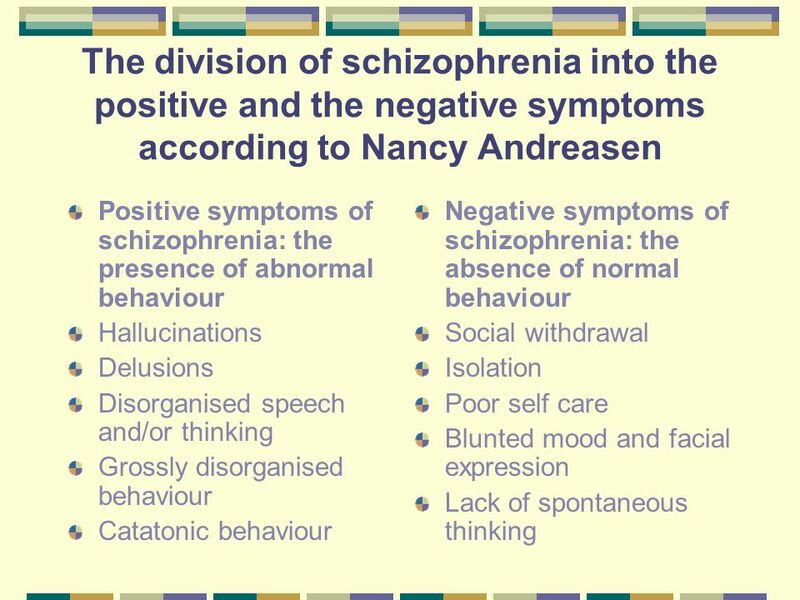 Schizophrenia Broad spectrum of cognitive and emotional dysfunctions that include –Hallucinations –Delusions –Disorganized speech. 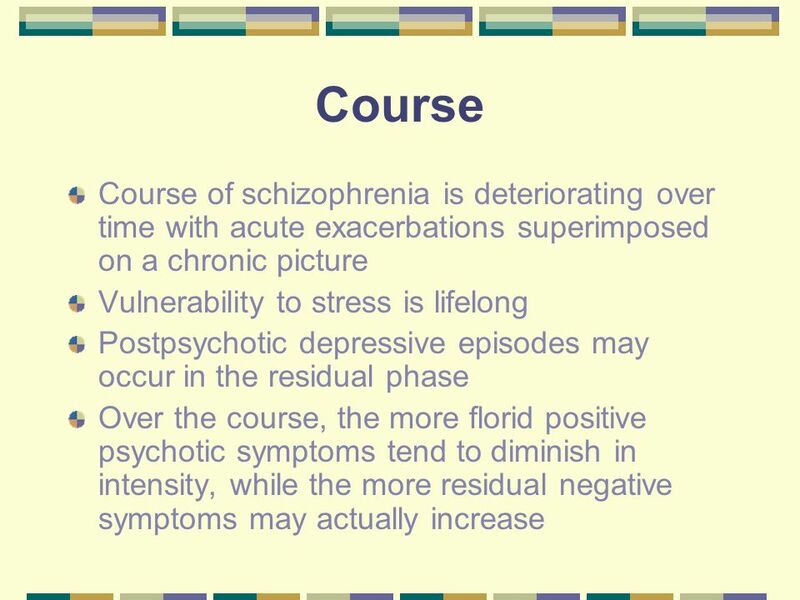 Chapter 12 Schizophrenia and Other Psychotic Disorders. Schizophrenia. 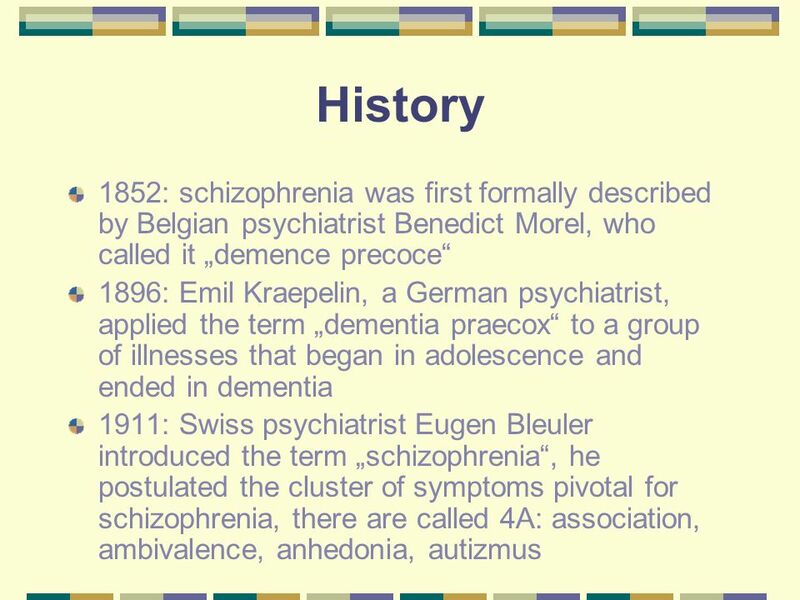 History of Schizophrenia Diagnosis Emil Kraepelin ( ): dementia praecox Eugen Bleuler ( ): schizophrenia The Broadened. 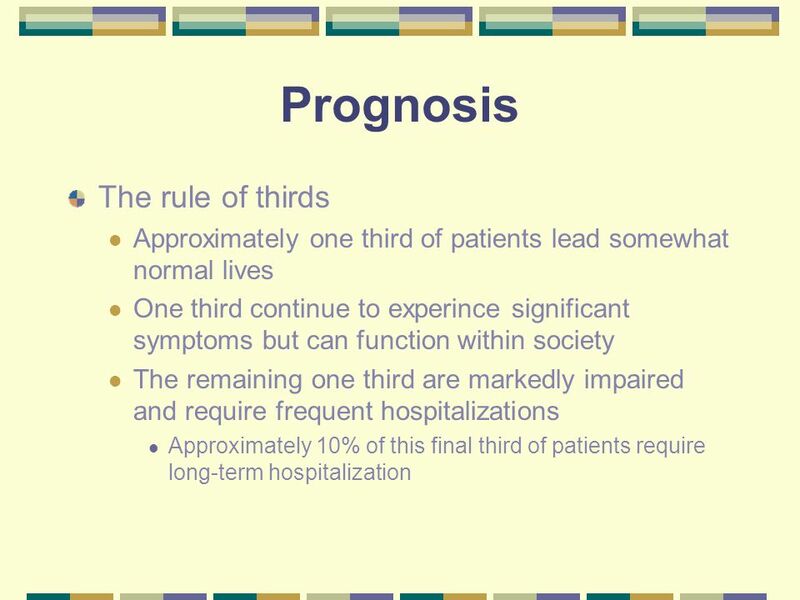 Abnormal PSYCHOLOGY Third Canadian Edition Prepared by: Tracy Vaillancourt, Ph.D. Chapter 11 Schizophrenia. Samantha Valadez Psychology Period 6. 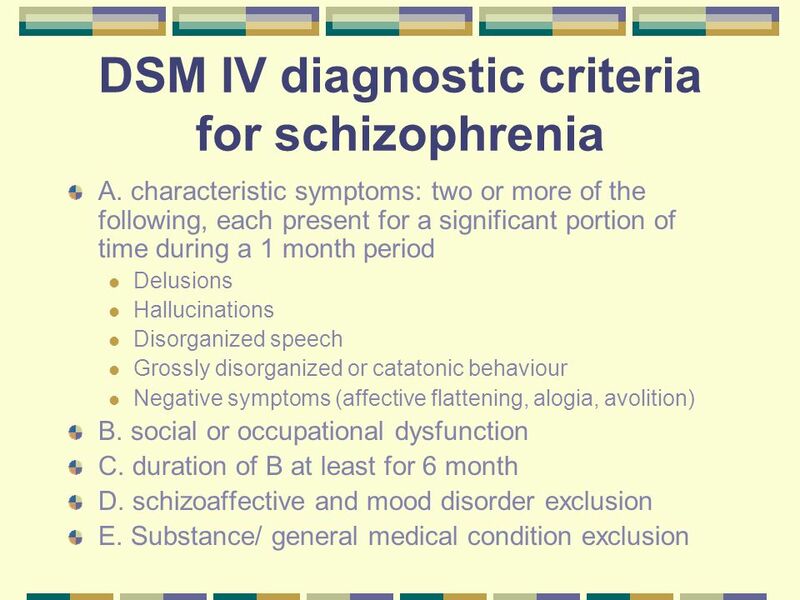  Schizophrenia Disorder: is a disorder with a range of symptoms involving disturbances in content of thought, form. 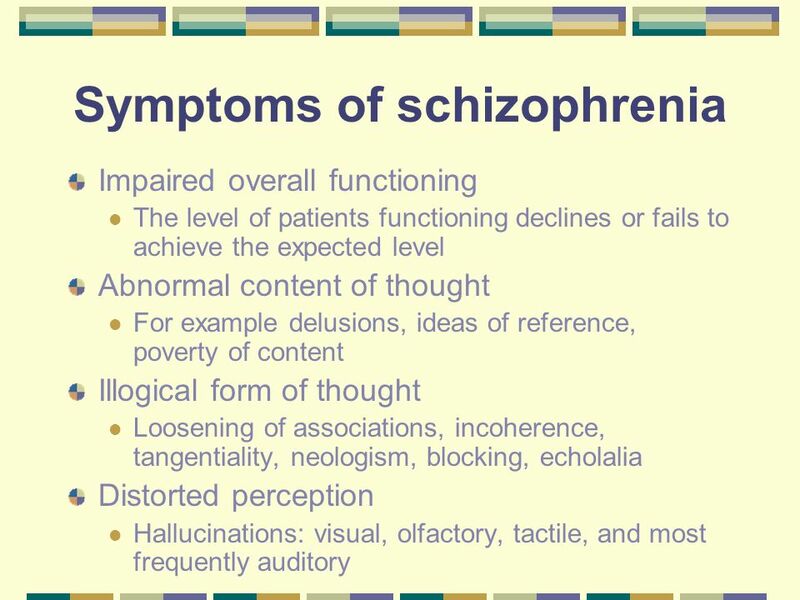 Schizophrenia Lori Ridgeway PSYC What is Schizophrenia? Deterioration in fx Extreme disturbances in thoughts, perceptions, emotions, motor fx Affects. IzBen C. Williams, MD, MPH Instructor. 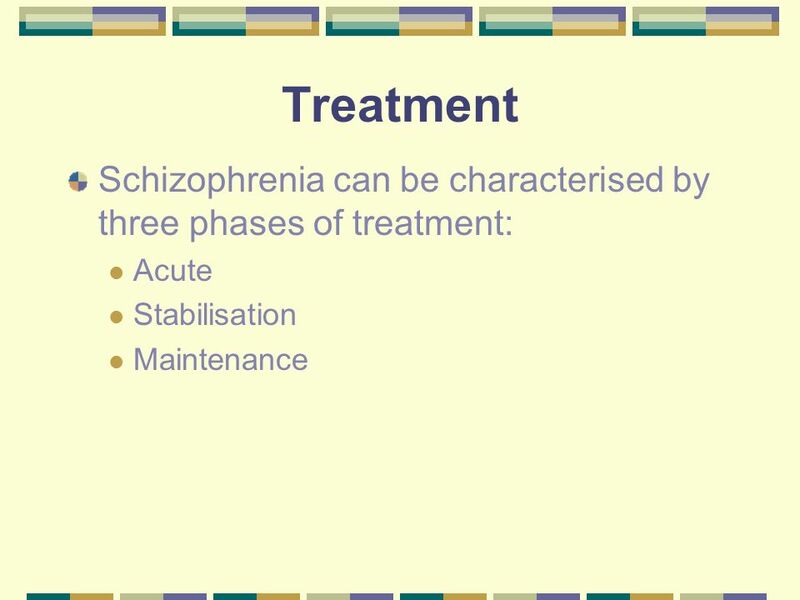 Lecture 10 SCHIZOPHRENIA AND OTHER PSYCHOTIC DISORDERS. 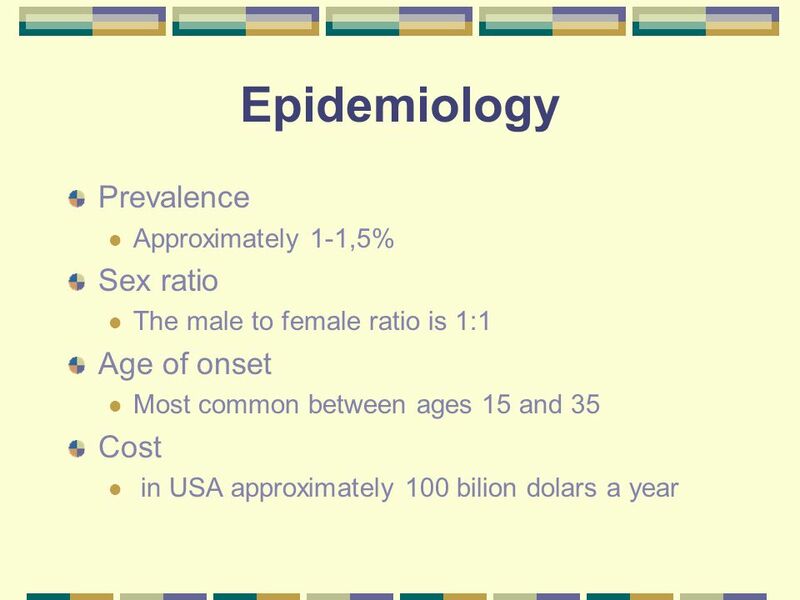 Psychotic Disorders & Depression Related Etiology, Epidemiology, and Symptomology. 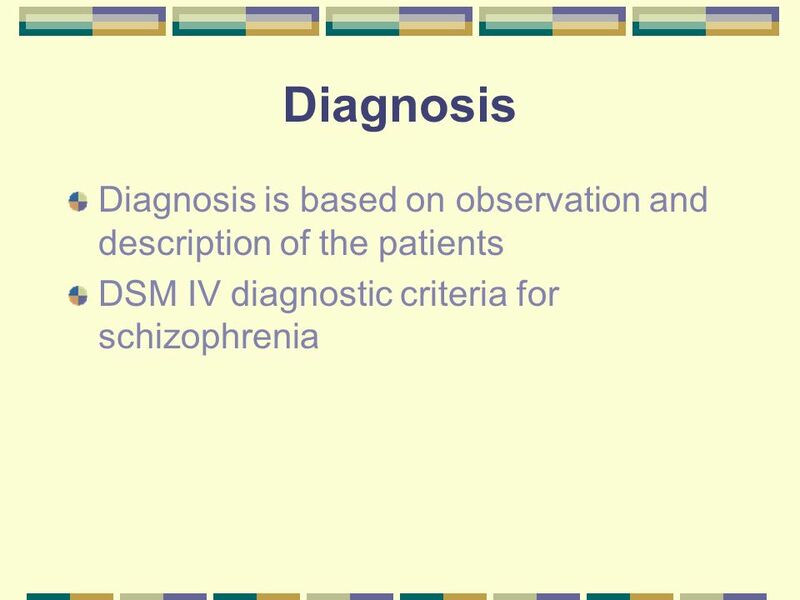 Surgeon General’s Report 1999 (Part 2) Mood Disorders and Schizophrenia. 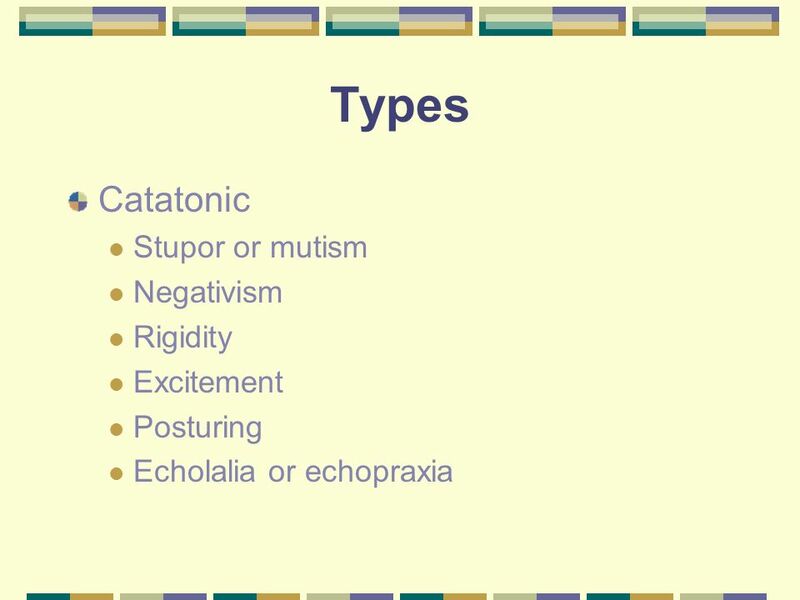 CHAPTER THIRTEEN Schizophrenic Disorders. 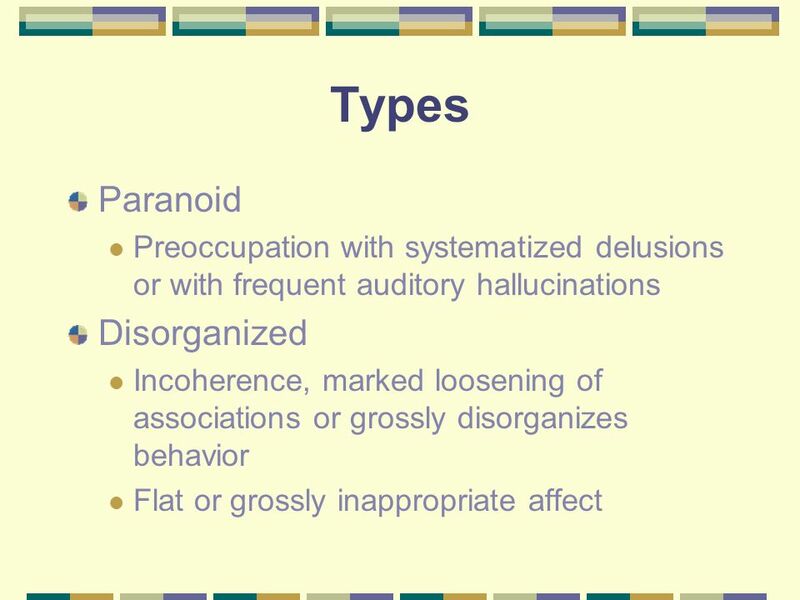 OVERVIEW  Psychosis - profoundly out of touch with reality  Most common symptoms: changes in the way a person.